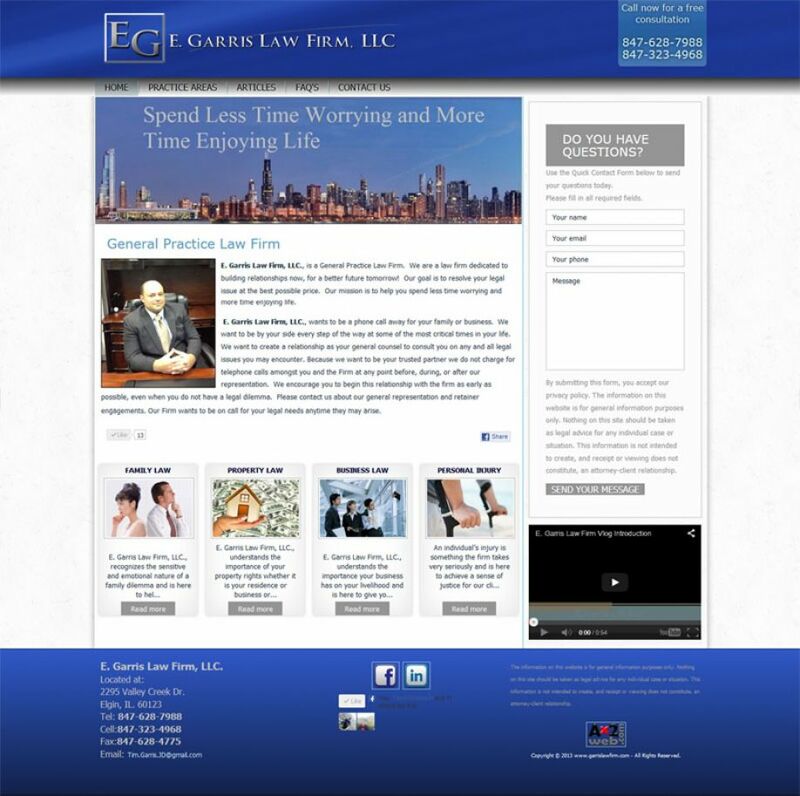 E. Garris Law Firm, LLC. Website created for law firm. It is a dynamic site with many options such as FAQ section, contact form and full blog section. Created by Ax2web © All rights reserved.